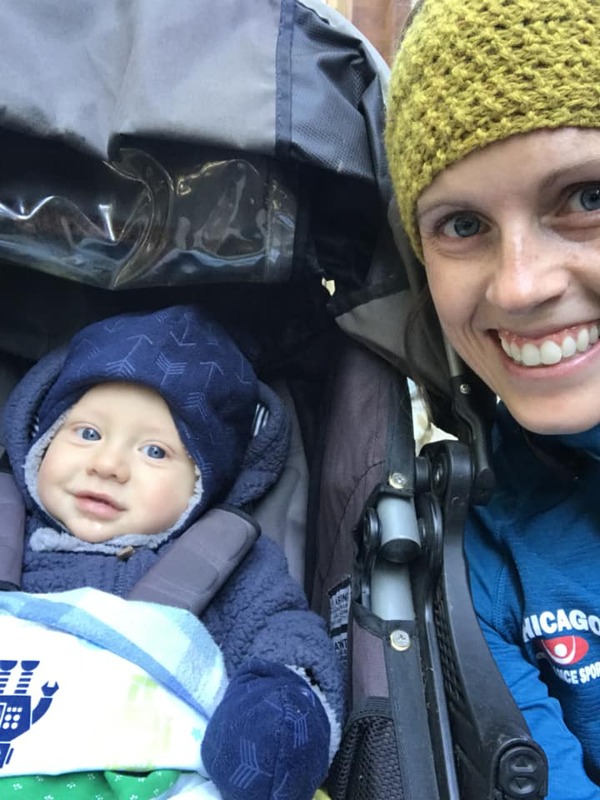 When I was in the middle of IVF treatments, I wrote a post about an abrupt change in my workouts – My Fitness Drastically Decreased (and that’s OK!) – and shortly after, was pregnant which changed my workout routine once again. 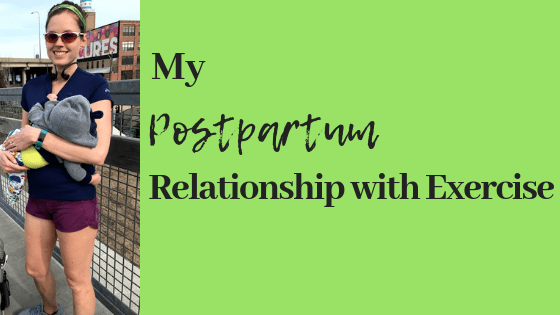 I felt I was in a better place with exercise, and hoped this new perspective would stick around post-baby. Before deducing that my lack of period, and subsequent troubles conceiving, was highly likely due to Hypothalamic Amenorrhea, I placed exercise as my top priority. While making exercise a priority is generally a positive trait, when it creates stress and negative feelings along with it, it’s time to reexamine things. For example: one day the plan was to run to and from work, giving me about 6 miles total, when about a mile and a half from the office I bit it. I popped up, shook it off and continued my run after seeing no wounds and feeling alright. Turns out, adrenaline must have been pumping because after I got in, checked my email and had a cup of coffee, I stood up and was unable to bend my right knee past 30 degrees. It was stiff and doing a single leg squat was not in the realm of possibility. I spent most of the afternoon researching bone bruises in fear that I wouldn’t be able to run for a while. My plan was to run home and I was frantic to find a way to make up for the lost cardio. I took the train and stopped at the gym instead of home and did the elliptical for 40 minutes. Granted, the movement truly helped my knee feel better, but I wasn’t in it for that. I was in it for the cardio and calorie burn that I had planned to accomplish that day. I wasn’t aiming to lose weight, but the thought of not checking off the workout I intended to do made me a bit batty. Fast forward to making an effort to balance my hormones; cutting back seemed weird at first, like I was missing something, but I became comfortable with the activity level pretty quickly. Once pregnant, it felt natural to go easy in my workouts and walking was my cardio. I gave myself until getting cleared by my doctor at around 7 weeks, before I even considered trying any type of workout, and now that he is 8 months I feel I’ve found my groove. Like pretty much everything in life before having a baby, I had control over when things happened in my day. That meant if I had a 5 mile run planned, I would either go first thing in the morning, or if the day was open I’d choose before a meal or when the weather was at it’s best. Now, I do my workout at the first opportunity Owen presents me with. I remember one Saturday my husband was home so I could run sans stroller. I got the baby down for a nap, quickly changed and headed out. A mile in I noticed the grey clouds and realized I never checked the chance of rain. It sprinkled a bit, and it was warm so it didn’t matter, but before I would have spent a decent amount of time checking the weather and overthinking when to go and what to wear. Now, if he is down for a nap, it’s go time! If he is in daycare then that is a day I go to yoga. If he’s not having it with the jogging stroller, looks like I’m not running. It’s actually not a bad thing to not have the luxury of working out at “the perfect” time, because I don’t waste time planning what workout to do and when, I just get. it. done. I did yoga, and strength trained 2-3 times a week, but I was definitely a cardio junkie. I loved endurance running (but it didn’t exactly love me back) and spent hours running. I honestly don’t see that time as wasted – I loved my solo miles on the lakefront and through the Chicago streets – but I want to most bang for my buck and strength training fits that bill. I need to be strong to lift and carry an ever-growing baby (and all his things), and there are endless benefits to building muscle that have nothing to do with weight loss. Yoga is also top priority to me these days. I use Classpass and primarily use it for yoga studios that I enjoy. I can do strength training at home and usually end up breaking it up throughout the day, but the mental benefits I reap by going to a yoga studio, soaking up the ambiance and having a certified instructor lead me are crucial to my sanity. This is probably the biggest change, and I don’t really notice it until I specifically think how I reacted in certain situations before. The first time this was clear was 5 months postpartum when for the 8th year in a row, we traveled to my hometown for a 3 day music fest. Typically I would have planned out how many miles I would do and which days I’d squeeze them in. This time, I spent the morning with my parents playing with Owen before the rest of my friends got up. I think I went for a run, but it wasn’t what my day was built around. I didn’t “need” to get a run under my belt to enjoy myself at the festival. Normally I would have carried a bit of stress over getting my regular workouts done, instead, I ran when the opportunity presented itself, and enjoyed the extra days off. Another change is that I rarely wear my Garmin anymore. I map out a run to get an idea of the distance, but I don’t feel worried about my pace or exact distance like I once was. The bigger picture of getting out for a run is the purpose of it, not to log 5 miles at an 8:30 pace. In my strength training, the change has been that I no longer care if the workout I do is as hard or harder than the last. I do what I feel like I can do in that moment, and move on. I still make fitness a priority, and I still love the endorphins that are flowing after a run or when I fit strength training in during his nap, but there has been a definite shift from it being THE priority in my day. I hope that if I didn’t have a baby, I would have found this balance on my own, but I’m honestly not sure. 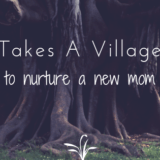 I do believe that it’s possible to have this balance before having kids, and I love helping other women find it! If you are having trouble scaling down – but not out! – your workouts so you can start your family, I would love to work with you! Email me at Samantha@simplywellcoaching.com and let’s talk. In a quick and free 20 minute Discovery Call you can determine if Prenatal Health Coaching is right for you.